Recently my husband has began working out more, and somehow every single pair of ear buds we had in the house upped and disappeared. I still think our (now previous house) likes to eat things when we're not looking. Anyway, I was on the search for a new pair of ear buds for him, and myself since I have every plan in the world to start hitting the gym at our new condo. With every pair of ear buds I've owned, I always have at least one of three issues. The first, is that they NEVER fit in my ears right. They're always too big, and end up very uncomfortable. The next issue is that the sound quality is always lacking something. Either the bass comes through OK, but the higher pitches are lost, or the exact opposite happens and there is ZERO bass coming through. The third issue is noise cancellation. I haven't yet found a decent set of ear buds that handle this task effectively. Yuck. A poor set of ear buds really ruins the music you're trying to enjoy. 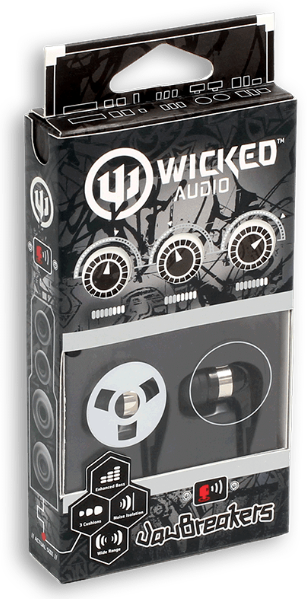 On my hunt for a new pair of ear buds I ran across Wicked Audio. After browsing through all of their products I saw exactly the pair I wanted to try out. I figured if these ended up as awesome as they sounded like they would be, you all would like to hear about them too. Wicked Audio was fantastic, and offered to send the pair I was most interested in; Wicked Audio JawBreakers (Model WI-2100). Yes, please. I DO want sound that will blow my mind! I want that deep bass and and high notes all at the same time instead of having to sacrifice one for the other. I have a couple of favorite songs that really have a fantastic bass-line, but playing it through my computer's speakers really doesn't do the music justice. Heck, even playing it through the speakers in my car doesn't do the music justice. The first song I tried was "Bleeding Love" by Leona Louis. This has a rocking, deep base part that always sounds really pretty bad through most speakers and ear buds I've used to listen to this song. It always ends up sounding distorted and out of place. The Wicked Audio JawBreakers completely revamped the sound quality. The bass was brought in clear as a bell, but not so it was over powering, and no matter how high I turned up the volume, the bass never distorted. Her voice rang through with stunning clarity as well. It was almost an entirely new song! Every once in awhile I like to listen to Dubstep music. If you're unfamiliar with Dubstep, there is this thing called a "drop" where the bass pumps in harder and the sounds just explodes. One song I always find is lacking when I play it through my computer or other ear buds is "First of the Year" by Skrillex. This song has so much meat to it. Really high highs, and really low lows, with everything in between. It's a fast paced song, and it most definitely needs the correct speakers to be heard properly. This is also one of my husband's favorite songs, so I had him check out the ear buds while it was playing. He immediately fell in love, and his face fell when I told him I don't think I was going to give the JawBreakers to him after all. He said he could feel the base, but it wasn't an uncomfortable sound. It had a nice "thump" to it. I've now listened to this song about 10 times in a row with the JawBreakers. I just can't get enough. With the JawBreakers, I could hear parts of the songs that I was unable to hear before. For example, I listened to the "Home" music video by Phillip Phillips (swoon), and noticed that I had never once heard the sound of the rain in the beginning. These ear buds make it so you're standing in a large, acoustically perfect room. I felt surrounded by the music, and not just as though I was hearing it. FANTASTIC! Wicked Audio took care of my two other ear bud issues I always seem to have; noise cancellation, and fit. The JawBreakers come with three different sizes of cushions. The small cushions which fit my ears best provide the maximum amount of comfort for long term wear. The medium cushions also fit my ears well, and have really great noise cancellation capabilities. Finally, the large cushions (which will not fit in my ears) offer the maximum amount of noise cancellation. I can't hear any outside noise with the medium cushions and for the most part, they're really comfortable. I have very, very small ear holes, so for all you normal ear hole sized people, the medium and the large should work fine for you. The Wicked Audio JawBreakers (Model WI-2100) sell for $11.65 on Amazon with an original list price of $19.99. 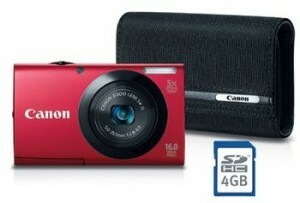 With a LIFETIME warranty, you really cannot beat the price and quality (in my humble opinion). Make sure you check out Wicked Audio on Facebook, and Twitter! I was provided a pair of JawBreakers Ear Buds free of charge from Wicked Audio in order to facilitate this review. All opinions are 100% mine. See Disclosure Policy. When I was back in school (Middle & High School) I was an avid reader. I would borrow 6 books or more at a time from the library and power through 1 to 2 a day. Unfortunately, college burnt me out a bit because I was required to read about 4 books a week and couldn't find the time to sit down and enjoy something that I chose to read versus something I was required to read. I did the math and realized that until recently, I went 7 years without picking up a book to read for fun. When I was asked to review a NOOK Simple Touch™ provided by Staples, I was head over heels excited. I've been eying the e-readers for awhile, dropped a few hints about Christmas and Birthday presents, but just never ended up getting one. We do have an HP Touchpad, but that monster of a tablet is quite heavy, and not really something I'd carry around just for the sake of reading a book. I did give our Touchpad a solid try when I powered through the first two books of 50 Shades of Grey (no comments from the peanut gallery please). 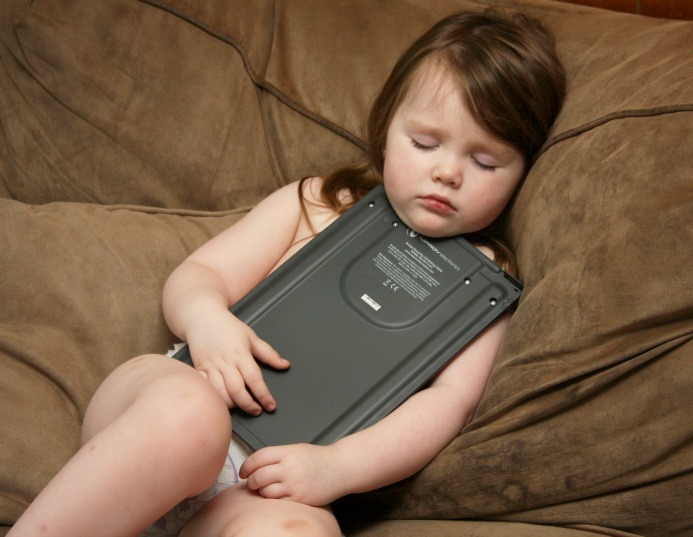 But, it was awkward, cumbersome, heavy and really solidified why I wanted a NOOK. When the NOOK Simple Touch™ arrived I was a little surprised of how compact the size of it is. I don't know what I was expecting since I wasn't really familiar with the different models NOOK offers. In fact, I don't think I had ever seen a NOOK up close and personal before. Now, if you've read any of my other electronics reviews you should know by now that I like things SIMPLE. I'm the type of person who would prefer phones to just be phones and not mini computers. I still couldn't tell you how to do anything on my smartphone except play a few games, send a text, take a picture, and make a call. I know, pathetic, right? Thankfully, the creators of NOOK seemed to read my mind, or at least guessed that I'm not the only technology deficient person out there, and made this a very easy to use product. The first step to setting up the NOOK Simple Touch™... plug it in. It should be charged 100% before turning it on and finishing the setup process. It took quite a bit of time for it to charge, several hours at least. Once the charging process completed, it was time to turn it on, and figure out the next step. What I LOVED was that the NOOK Simple Touch™ actually walked you step by step through the entire setup process. I didn't even have to break out the instruction manual. You can even set up your NOOK account, and add a credit card right on the device (or you have the option to do it online). Whatever email address you chose when setting up the device, is the email address you'll use for your account online, and how people will be able to loan you books. Honestly I was a bit wary about putting in a credit card number, but I found out that you need to have one, even if you just want to download a free book, or borrow a book from someone. Otherwise, easy peasy, and within 10 minutes I had it all set up and ready to go. Stay Organized with "My Shelves"
Lucky for me I have a super awesome friend who is also a book addict and has a similar taste in literature. She immediately loaned me a book so I could get started rekindling my own addiction. The first week I read through four books in four days. This past week I've already read through two and am halfway through a third. Every NOOK book she loans is only available for 14 days, so I make sure to get through them quickly. I have a short attention span, so if something takes me more than a couple of days I get bored or forget about it. The entire lending process is pretty painless. She puts in the email address associated with my NOOK, and loans it directly from hers. I think it takes only a couple of minutes from the time she turns her device on to when the book arrives in my library ready for downloading (which also only takes a matter of seconds). The display of the device is also pretty self explanatory. It's easy to get from your library to home. You can shop for books on your NOOK when it is connected to your wifi, search, and access your settings all from a single button and a few taps on the screen with your finger. If you don't finish the book in time, or it's something you want as a permanent addition to your library, you always have the option to purchase it. The prices I've seen so far are very reasonable. E-Ink grey-scale touch screen is very easy to read from. It really is almost like reading right out of an actual book. My eyes aren't strained, the font is a decent size, and there is no residual ink coming through from the backside of a page like you would have if it was a paper book. The NOOK Simple Touch™ is also pretty durable. My kids have managed to get hold of it a few times, my cat has flung it off of my kitchen table onto the linoleum floor, and I've dropped it a couple of times in the throws of my klutziness. I also thought the material used for the back and sides was a great choice. It's not slippery and there's enough surface area for your hands to easily grip it without getting in the way of the screen. If it was a slippery material, I can only imagine how many other times I would have dropped it. 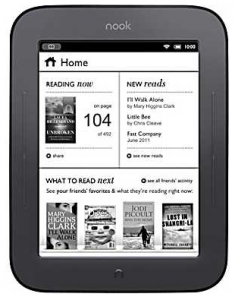 The ONLY thing I wished the NOOK Simple Touch™ had was a back-lit screen. I do a lot of my reading at night and I prefer to sit in a dark room, however until I purchase a book light, that isn't an option with this particular NOOK model. It's not a big deal, just a preference. Overall I am THRILLED with the NOOK Simple Touch™. I thought the device itself was great and easy to use, but I also like how much easier having an e-reader has made... reading. I have thousands of books now at my fingertips, and I don't have to worry about finding a place to store them when I'm finished. Perhaps the only drawback is that now I get considerably less sleep since I seem to have my nose permanently "buried" in a new book every few days. But, that's a fantastic thing! Boy - did I miss reading. * I was provided with the NOOK Simple Touch™ by Staples free of charge in order to facilitate this review. All opinions are 100% mine. See Disclosure Policy. I like gadgets. I'm not a techy person, but I like gadgets as long as I can figure out how to use them. When I saw the Boogie Board Rip LCD Writing Tablet reviewed on a few other blogs, I thought, "Hey, my readers like easy to use gadgets too!" 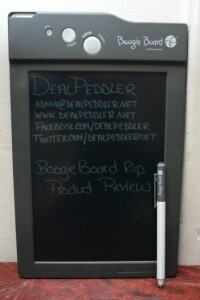 Boogie Board (by Improv Electronics) offered to send me their new Boogie Board Rip LCD Writing Tablet to review. Lucky for me, they sent me TWO by accident and told me that I could keep both. This worked out wonderfully, because my 2-year-old daughter has claimed one as hers. Now I just have to fight my 1-year-old son for the other, or just let the kiddos have a drag-down-knock-out duel over one of them. There were a couple of things that caught my eye about the Boogie Board Rip LCD Writing Tablet before I even received it. There are literally only three buttons on it: Erase, Save/Wake, and Lock/Unlock. Three buttons are definitely doable. The other thing that I really liked was that Improv Electronics says the surface is comparable to writing on paper. I'm a little finicky, and really dislike taking notes on my computer. I find that writing something out helps me remember it better. I also have two kids who like to draw, and will be learning to write soon. But, my kids are your typical kids, and anything pencil, pen, marker, crayon, etc. ends up on my walls instead of the paper sitting right in front of them. When the Boogie Board Rip LCD Writing Tablet arrived I have to say I was rather impressed with the size of the writing surface. I knew it was going to be 9.5 inches, but I can't ever really imagine what the size will actually be. There is PLENTY of writing surface for quick notes, a grocery list, and even things like drawing pictures, or having your kids write down their letters and numbers. I've used it to quickly write down email addresses instead of having to have two Gmail windows open. And, I can "lock" the screen so it cannot be erased. I was a little concerned about the quality of the product. Not really as an adult using it, but because my kids wanted to use it. I panicked the first time my daughter tossed it onto the floor, but it held up. Then both of my kids tossed it again, and again, stepped on it, slammed it down, and my son has even nommed on it. It is still in perfect working condition after a week of abuse. Every once in awhile the Boogie Board Rip LCD Writing Tablet hits the ground just right, and at the bottom, you can see the plastic framing the screen starting to open a bit. The plastic actually snaps back into place. It isn't glued like I had expected. And, there are four screws on the back to insure that this product is not going to come apart. At first I thought that maybe this might be a product that is a little unnecessary. With all of the tablets out there that have so many functions, and can connect to the internet, maybe the Boogie Board Rip LCD Writing Tablet was just a frivolous gadget. But, the more I got to thinking about it, the more I liked how it doesn't have all of those bells and whistles. My husband and I brainstormed about the possible uses of this product. And we decided this could really be a great item for schools (writing surface for math problems, Around the World games, spelling/writing practice, teachers to show individuals how to do something), communication for non-verbal people, trips in the car with those kids who need entertainment, phone messages, note taking in work meetings, and even an easy way to write down ideas if you're the creative, inventive type. My mother-in-law even said she'd like to have one for her high school classroom. I showed it to a friend who runs a library in NH, and he even thought it's a product his library could use. A really great feature is the "Save" button. The Boogie Board Rip LCD Writing Tablet will save your notes and drawings as a vector PDF that can then be edited in Adobe Photoshop, Illustrator or with any other image editing software. This is the ONLY Boogie Board model that will do that. Just use the included micro USB cable to plug in your Tablet to the computer, and your PDFs will automatically load once your computer recognizes the Boogie Board hardware. 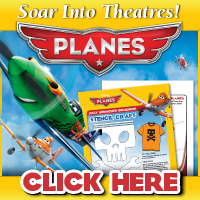 You can save up to 200 pages worth of notes and drawings! The micro USB cable will also charge your Boogie Board Rip LCD Writing Tablet when plugged into your computer. I noticed one day that it needed to be charged, and my daughter's impatience only allowed for me to charge it 10 minutes - but I haven't had to charge it again since then. There were only a few features I wish that the Boogie Board Rip Writing Tablet had. It'd be nice if there was a scroll option, so instead of having to save multiple pages, you could continue writing until you are done. If this feature was available I could see college students using this, at least those who prefer to write instead of type. I also wished the stylus pen had a finer tip. I write relatively large, and I wouldn't have room for very dense notes. Although, if you have a stylus or something that won't scratch the surface you could certainly use that as well. I tried using my finger nail and I liked that a little better. I also wish there was a way to erase the writing little by little instead of the ENTIRE page. Your errors can't bother you unless you want to start over from the beginning. My husband said he would have liked to have seen an "animate" feature, so you could actually go back and forth between drawings, and then animate it. Like those little flip books we made as a child. 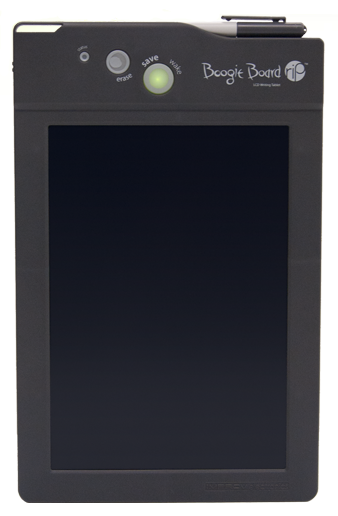 The Boogie Board Rip LCD Writing Tablet is available for purchase directly from Improv Electronics, and Amazon . 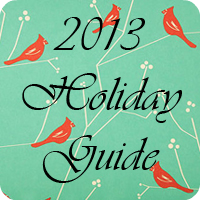 Make sure you find Boogie Board on Facebook and Twitter! Improv Electronics is giving DealPeddler readers a chance at winning their very own Boogie Board Rip Writing Tablet as a giveaway prize! The giveaway is restricted to continental USA residents who are 18+. Giveaway will start 7/28 and run for approximately 1 week. When the giveaway is live you will be able to enter [HERE]. *I was provided a product free of charge in order to facilitate this review. All opinions are 100% mine. See Disclosure Policy. I'm not the type of person who really pays attention to new electronics that come out. It was like pulling teeth to get me to upgrade to a smart phone. When it comes to computers I rely on my husband 100%. He's a super techy nerd, and works with computers for a living, so he is my technical savior. Usually at least once a day I'm yelling to him in the next room, "HELP! I broke something. Fix it.... please?" One day he started talking to me about this thing called a Roku. I looked at him with my usual "Wtf are you talking about?" expression. Our living room TV is already set up to connect to the internet with a computer my husband built, so we're able to watch Hulu, Netflix, or any other media we have on our 47" flat screen. I couldn't figure out why he wanted a Roku. But, he's been eyeing the Roku 2 XS and I figured this might be a neat little gadget to review on DealPeddler. 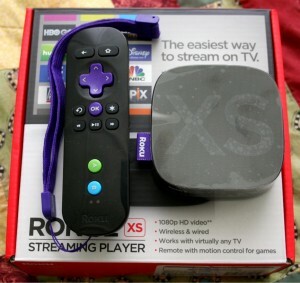 Roku was super awesome and sent us the Roku 2 XS for review! I let my husband take the reigns and he set it up and had it running in about 10 minutes. He also helped write this review since he did all of the work. (Thank you dear!) I have to say I expected the actual Roku device to be a lot bigger than it is. It literally fits in the palm of your hand. I know they say the best things come in small packages, but I was hard-pressed to think the Roku 2 XS could do everything their site says it can. To my husband's amazement it delivered on everything it promised to. According to my husband the Roku 2 XS is a brilliant piece of electronics. An inexpensive media player (with a base price of $49.99) that hooks up to virtually any modern day TV. Setup of the Roku 2 XS is as simple as plugging in the two cables that are included in the package (power and composite cables) and following the directions on your TV. It guides you step by step in setting up your internet connection, and activating the device on a computer so you can easily access your paid accounts that include Netflix and HuluPlus. You do need to provide a credit card number or your PayPal account which I wasn't all that thrilled about. However, the PayPal option makes it a lot better. If you have an HDMI input on your TV, I would suggest using that instead of the included composite cables as the video quality is much better using HDMI. Roku offers a 6' HDMI cable for only $9.99 which is fairly inexpensive compared to your local Big Box stores, and you can easily add one during checkout. 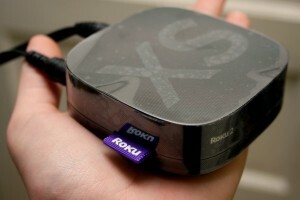 The limitations to the Roku are only what channels are available for it (Roku calls the applications on it "Channels"). If you already have a Netflix or Hulu Plus account you can begin accessing that paid content very quickly by just installing the channels and following the directions on screen to link your accounts to it. There are also channels for free movies and music which is pretty awesome. Who doesn't like free?! What I love about the system is the Plex channel. If you have a digital media server, like our household does, just install the Plex Media Server on it. Through the magic of UPNP, the Plex Roku channel detects it and you are instantly streaming your digital media to any TV in the house that you have connected a Roku on. The Roku Channel lineup is continually growing as developers are noticing much power this pint sized box is able to output. The speed of the Roku 2 XS is remarkably fast for how much it can do and how small it is. I was expecting the performance to be like those dirt cheap tablets (you know what I'm talking about) and have to sit and wait as everything loads, but it was actually pretty darn fast. Netflix loads and starts streaming movies and TV shows faster than our Home Theater PC does! The Roku 2 XS comes with a more advanced remote than the other Roku models that includes motion control for games like Angry Birds and Stickman Golf. There are a few things we both found a little disappointing with the remote,. The first is that there is no sound adjustment on it. This is a bit of a pain because we now have it hooked up in the bedroom and we're lacking an actual remote for that TV. The second is having to type in searches or even the email address I used to get into Netflix by using up and down arrows and selecting the letters, numbers, and symbols individually. (That email address is ridiculously long - close to 30 characters.) We thought it would have been nice to have a little keyboard on the remote. 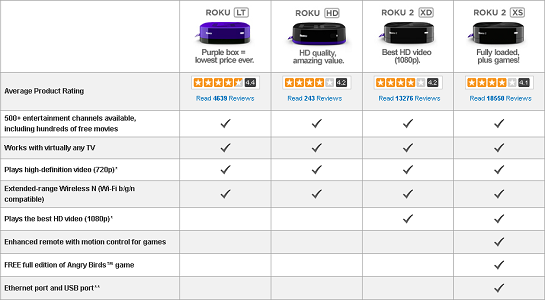 The price points for the Roku are ridiculously low. My husband thinks they must be selling these pretty close to the cost to build them considering the engineering and development that has gone into these tiny feature rich devices. As I already mentioned the base model Roku LT is priced at only $49.99. And they offer FREE shipping on every Roku purchase. For Mother's Day, Roku is also offering $10.00 off the Roku 2 XD and XS models until 5/13! In my husband's opinion this is the type of product to expand its market share and not die into the wind and lose support like many similar products have in the past. Roku has done a fantastic job simplifying the world of streaming media to make this a truly ingenious product for anyone with a broadband internet connection and a TV. We have really enjoyed our Roku experience, and it's great to have more options with what to watch in the bedroom since we're limited to a measly two TV channels. You can easily find Roku on Facebook and on Twitter! 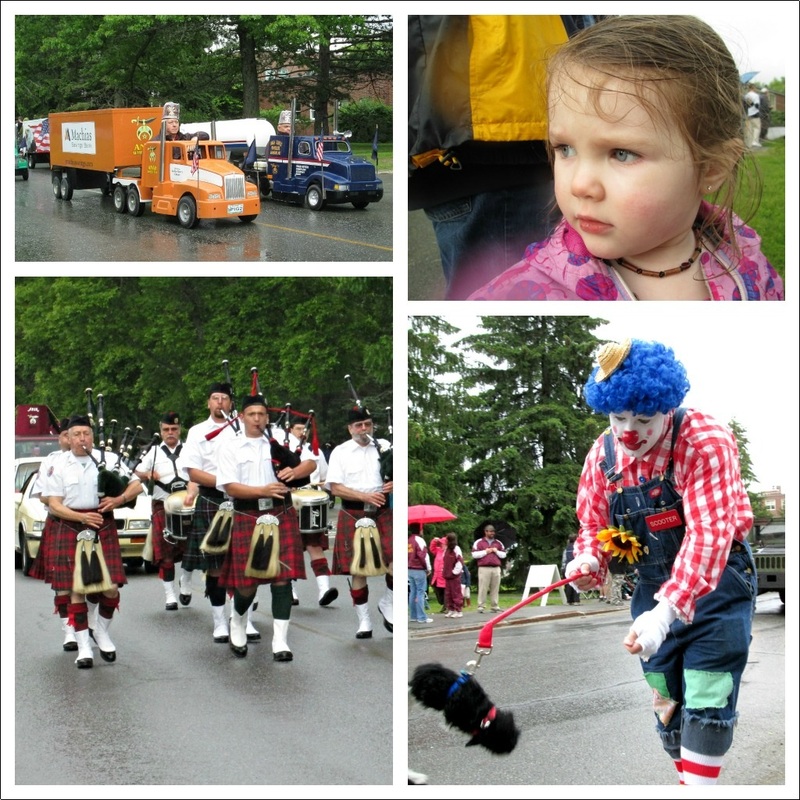 Drop by to say, "Hi!" I'm sure they'd love to hear from fans of Roku.Finally, Roku is giving DealPeddler readers a chance to win a Roku 2 XS! Giveaway will run through Mother's Day, and is open to residents of the USA who are 18+. When the giveaway is live you'll be able to enter [HERE]. *I received this product for free from Roku in order to facilitate this review. All opinions are 100% mine. See Disclosure Policy.